A week after the first earthquake in September 2010, I went for a walk around the city to survey the damaged buildings. I ended up taking photos of the beautiful old buildings that appeared to have survived unscathed. 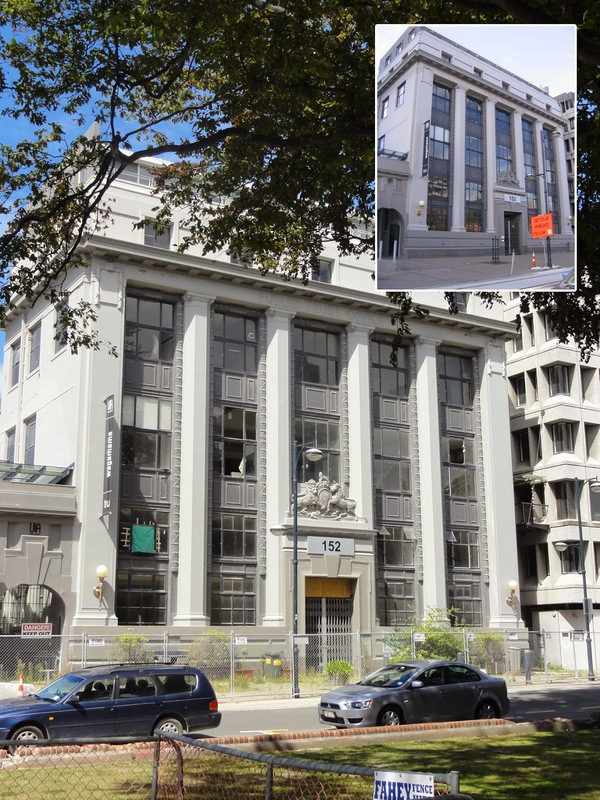 There had been lots of coverage in the media about the buildings that had been badly damaged, so I wanted to show the other side of the story, and wrote a post about the ones that had survived. After the February earthquake struck, I wanted to go back and take updated photos of them showing which ones had still survived, and which ones had succumbed. This has taken a lot longer than I anticipated, due to the time it's taken to reopen the CBD, and life in general has also got in the way. I was back in there a couple of weeks ago, and took these 'after' shots of the first few buildings in that post. I will do a follow up post in a couple of weeks showing the remaining buildings featured once I get a chance to photograph them. 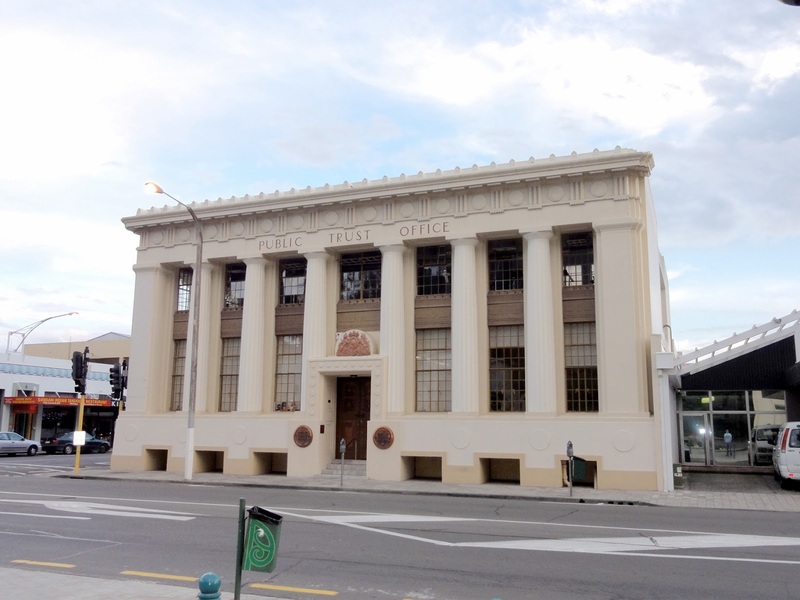 Our City O-Tautahi, or the former Municipal Chambers building has some significance to me as the building I did my very first market in. As you can see, a lot of work has gone into stabilising the building, so hopefully it will be restored. The former Public Trust building is one I used to walk past every day when I worked in town. I recall it being extensively refitted, and so hoped some earthquake strengthening was done at this time. It turns out some was, but apparently that wasn't enough, as the owners are currently trying to get permission to demolish it. This hasn't met the criteria for CERA's section 38 notice, so they are now deciding what to do with it. Apparently it can be saved, so fingers crossed the money is found to make this happen. 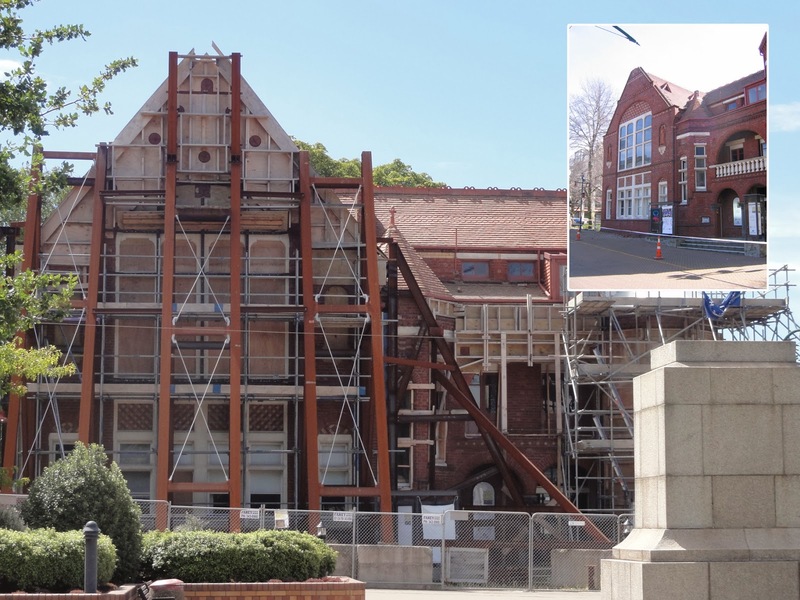 I have noticed on my travels that a lot of the old Public Trust buildings are of a similar style, such as this one that survived the Napier earthquake. 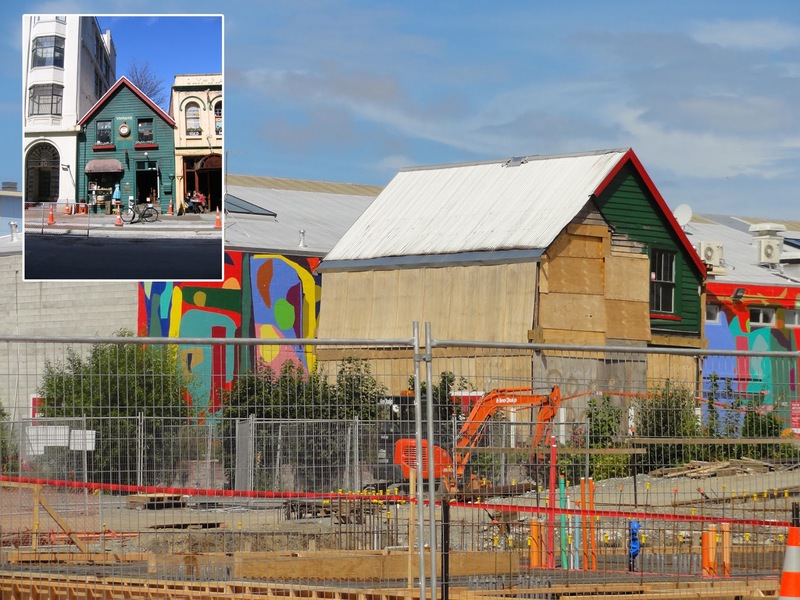 Let's hope our one in Christchurch has the same happy ending! Shand's Emporium has always been a favourite of mine, as it appeared to defy the progress around it and remain. Unfortunately it hasn't been quite able to do this now, as a new development in the area requires the space. The owner was keen to preserve it, and last I heard, had offered it free to a good home, even willing to pay the relocation costs. While researching this post today, I found it has found a new owner, and may be relocated out to Redcliffs. It is shown here where it has been moved out of harms way until it can be taken to it's new home. I look forward to seeing it repaired and returned to it's former glory. In a few more years time, I would love to bring you some more photos showing these buildings repaired and restored. In the meantime I will update you on the other buildings featured in my original post.